25 Oct What Does TPO Stand For In Roofing? What does TPO stand for in roofing? In commercial roofing you often hear the phase TPO used. 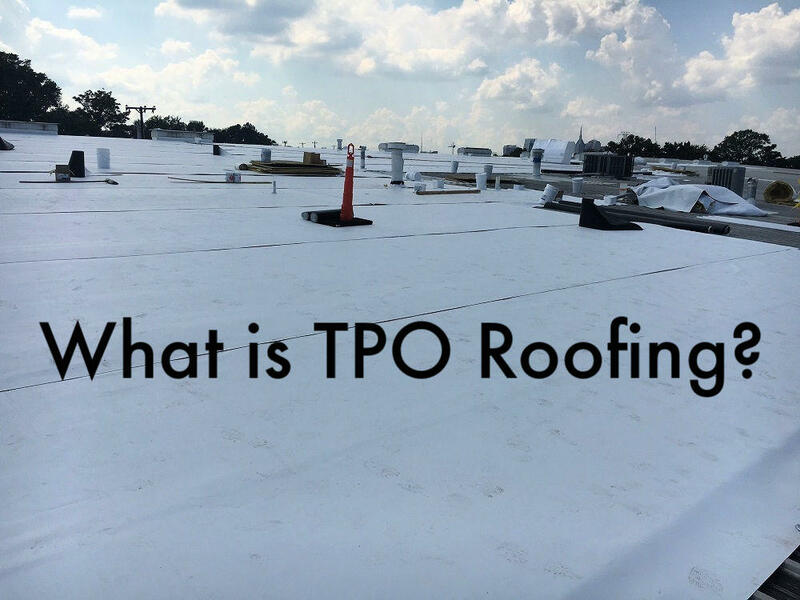 But what does TPO stand for in roofing? TPO is short for thermoplastic polyolefin. TPO is a versatile product used in commercial roofing. A flat TPO roof can be applied in areas that require durability even in low temperatures, provides excellent UV reflection and is chemical resistant. Carlise Syntec is one of the learing manufacturers of top quality TPO roofing systems. 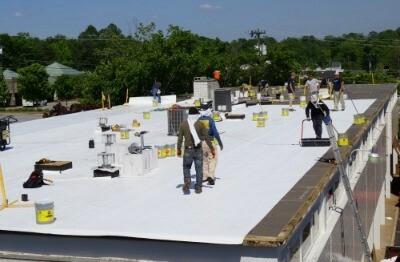 MidSouth Construction is a commercial roofing contractor certified to install all types of low slope roofing products. Installing a TPO roof is one of our most common commercial roofing projects. Many commercial property owners prefer the affordability and ease of application of a new white TPO membrane roofing system over the older EPDM or BUR commercial roof systems. WHAT COLOR IS TPO ROOFING? Typically we think of white when we refer to a commercial roofing system with TPO roofing. But TPO roofing today comes in a range of colors that will fit a wide variety of commercial building themes and needs. 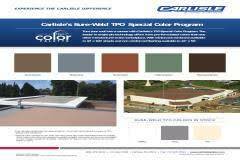 Carlisle Syntec makes the Sure-Weld TPO roofing in various colors including the traditional white, gray and tan. But the Carlisle Sure-Weld TPO also comes in Rock Brown, Slate Gray, Terra Cotta, Patina Green and even Mansard Brown! What does TPO Stand for in Roofing? An affordable, durable flat roofing material in a wide range of color options! MidSouth Construction commercial roofers are headquartered in Nashville Tennessee and install or repair all size commercial roofs. If you would like an estimate to repair your existing TPO roof or replace your outdated flat roof with a new TPO roof, please give us a call! Our knowledgeable staff is always happy to provide you with a free estimate and our best advise on the best solution for your specific commercial roof needs! What does TPO stand for in roofing? Quite simply, one of the absolute BEST commercial roofing solutions on the market today! MidSouth Construction is certified with all major TPO commercial roofing system manufacturers including Carlisle Syntec, Sika Saranfil, GAF, Versico, GenFlex, and MuleHide! We would love the opportunity to earn your business!